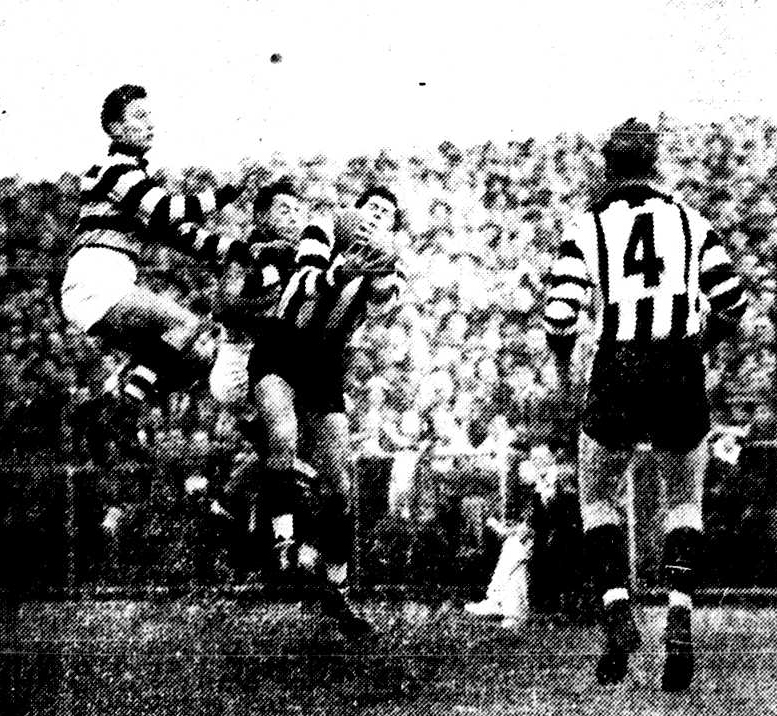 North Melbourne in 1953 finished the season in 7th place on the VFL ladder with 9 wins and 9 losses. They started the season with 6 victories in the first 9 rounds but could only manage another 3 wins for the rest of the season. Their biggest scalps were Collingwood in round 2, and Essendon in round 17. In round 11 they almost caused the biggest upset of the season against the previously unbeatable Geelong, with the Cats winning the match at Kardinia Park by a solitary point. 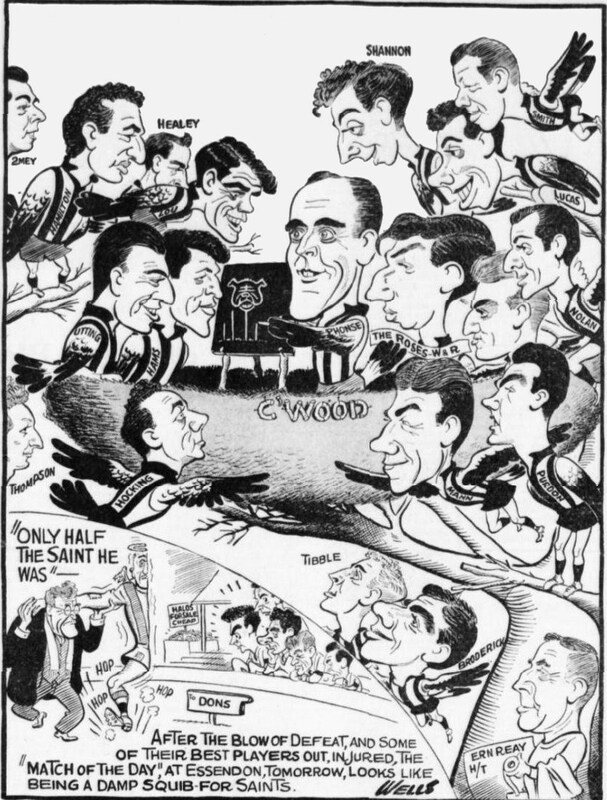 1953 was a year of transition for the North Melbourne side, as it was the year in which they decided to ditch the ‘Shinboner’ nickname. Their president Phonse Tobin who took over the reigns in 1953 thought that the image of a ‘Shinbone’ was unsavory for the club and in 1954 they adopted the kangaroo as their mascot. 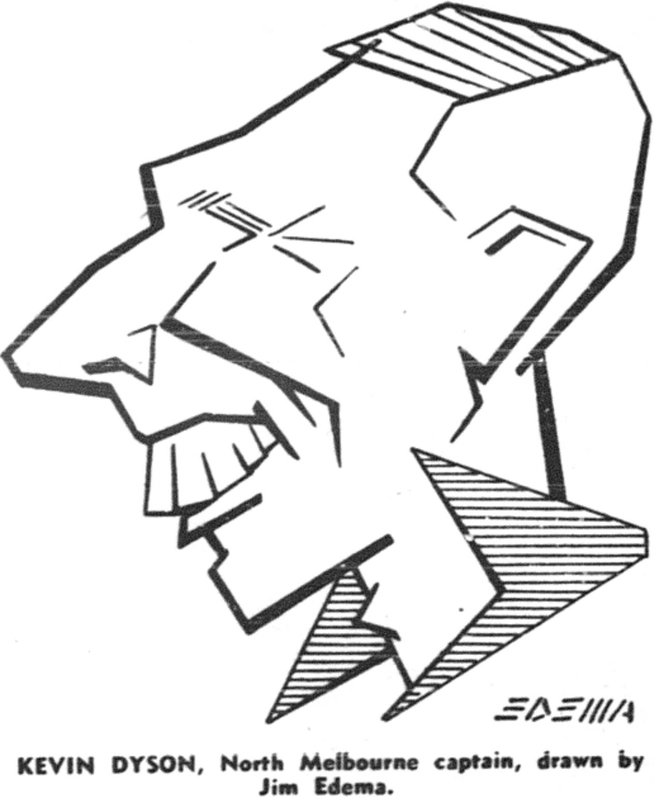 1953 was the last season in which North Melbourne was coached by former champion Wally Carter. He took over as coach in 1948 and lead the team to 61 victories and 55 losses. 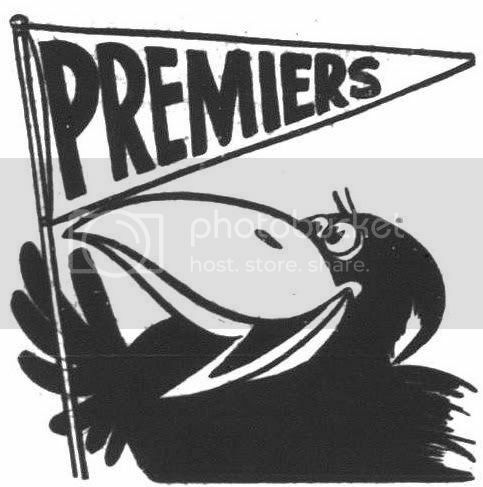 In this period North reach the finals on two occassions, topping the ladder after the 1949 home & away season, only to lose both of their finals matches. 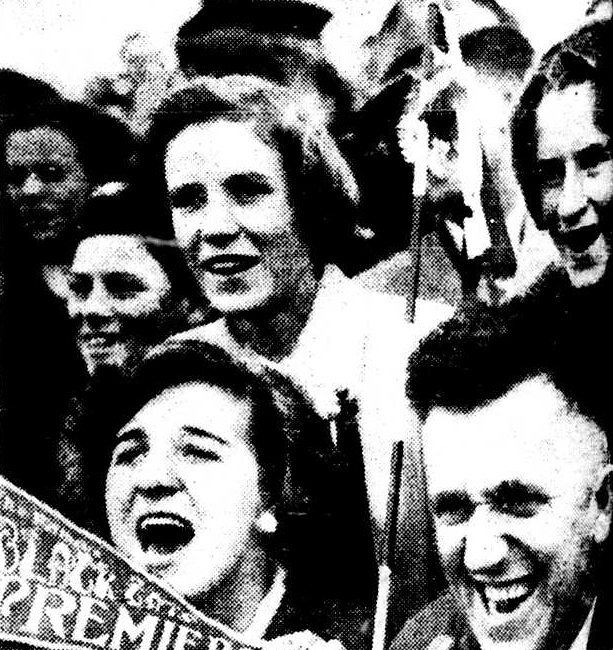 In 1950 they did much better, reaching the Grand Final which they lost to Essendon by 38 points. In 1958 he would again be reappointed coach of North Melbourne, a stint which lasted until 1962, but it was a not very successful period in the club’s history. 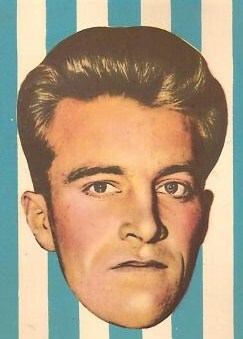 Jack O’ Halloran won the 1953 Syd Barker Medal for North Melbourne’s best & fairest player. 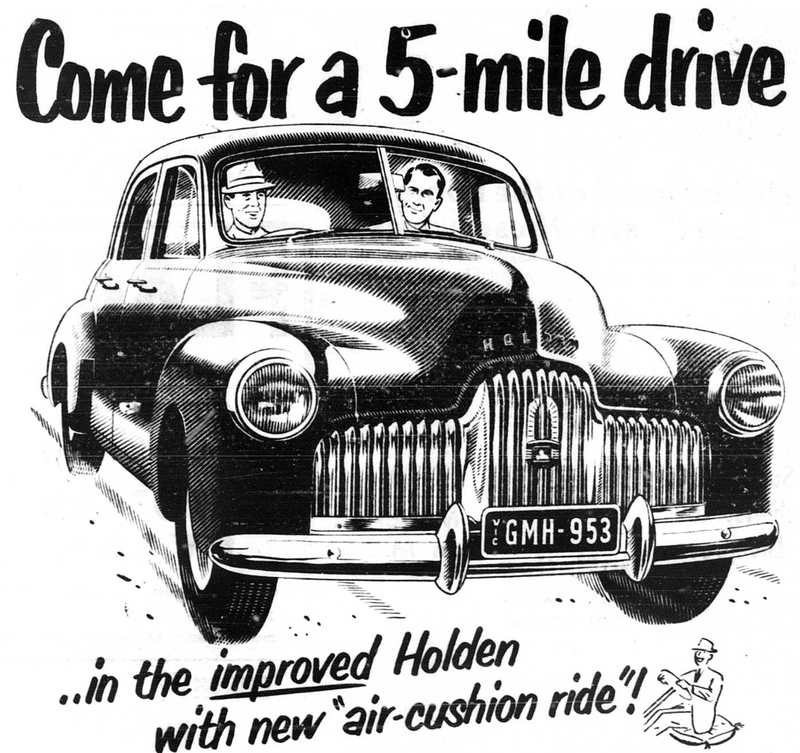 He played 10 games for Essendon in 1950 and ’51 before joining North Melbourne for the 1952 season. Between 1952 and 1956 he played 75 games with the Kangaroos, before joining Footscray for another season and a half of VFL football. 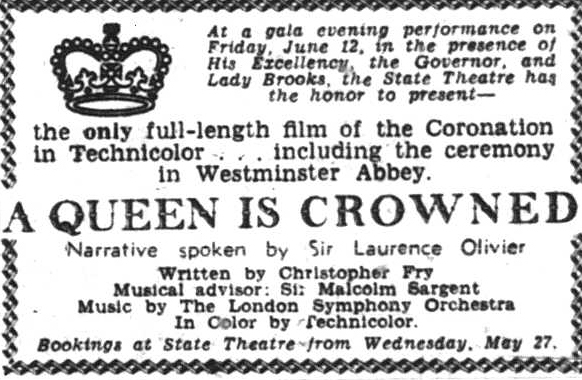 He was a stocky and fearless rover who was fast and had great stamina. He was appointed vice-captain in 1954. One of the best known players from this era for North Melbourne would be Allen Aylett. 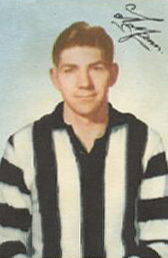 Aylett was in just his second season for North in 1953 and kicked 32 goals. He would go on to win the Syd Barker medal three times in a row between 1958 and 1960, and captain the club between 1961 an 1964. He was strong and deceptively quick with great ball control and an aptitude for kicking goals. He was president of North Melbourne during their very successful period in the 1970s, before becoming VFL president in 1977. 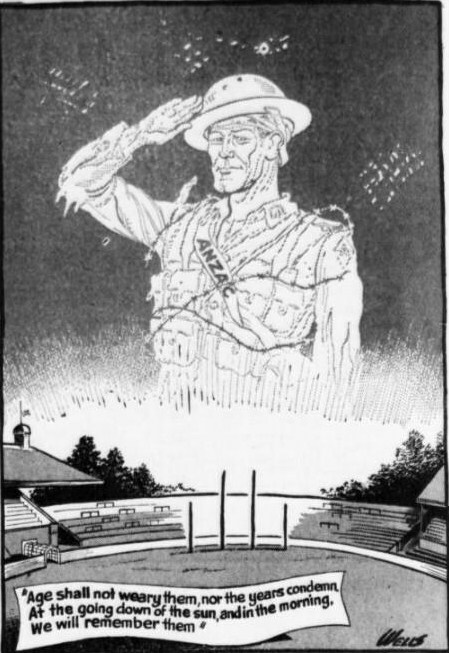 In 2000 he would be named as a member of North Melbourne’s team of the century and in 2005 he would be named the ‘Shinboner’ of the 1950s and would go on to be one of the greatest rovers of all-time. 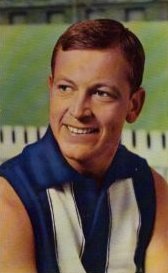 Jock Spencer was another of North Melbourne’s best known players of the 1950s but unfortunately due to injury he only played 4 games during the 1953 season. 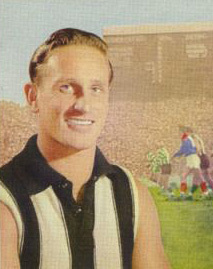 North’s full-forward of the 20th Century was only able to kick 7 goals in ’53. In his 9 years at the club he played 153 games and kicked 475 goals, which was a club record until passed by John Longmire in the 1990s. His best season was in 1950 where he kicked 86 goals, finishing runner-up to Essendon’s John Coleman who kicked 120. 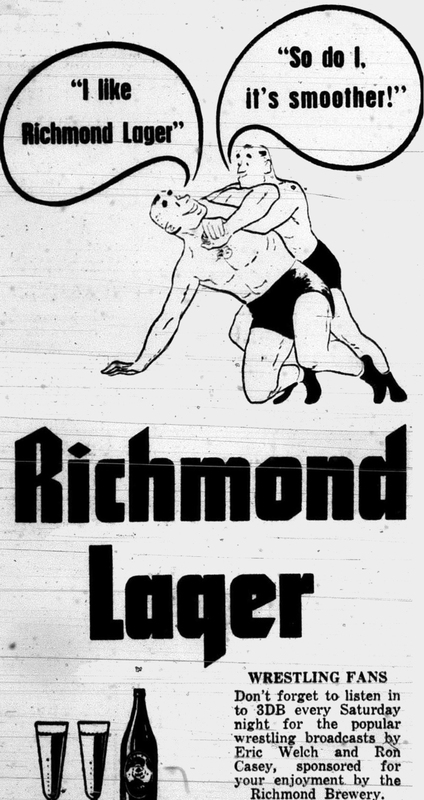 He was a brilliant mark and long punt kick, although he was not always accurate. 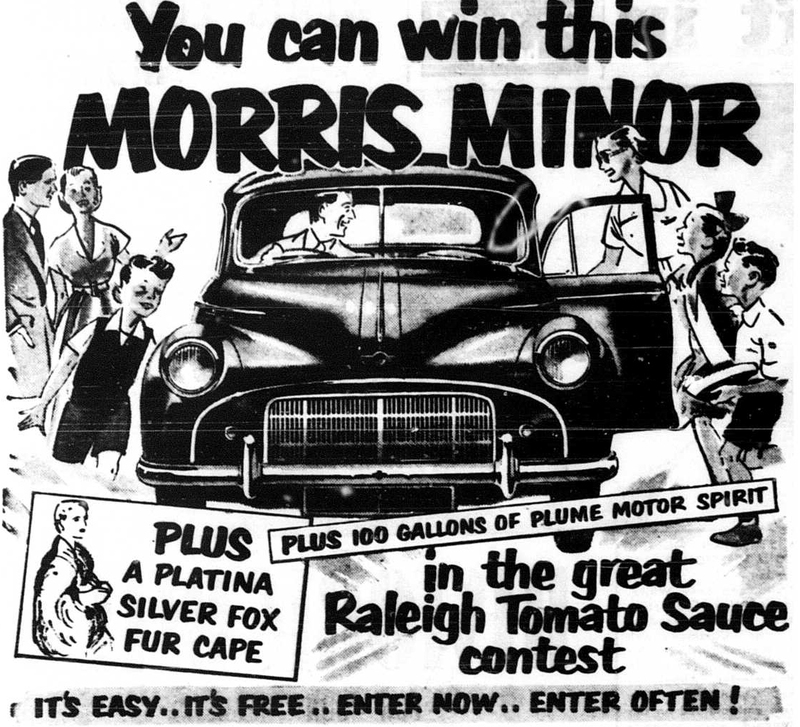 In 1952 he was selected ahead of Coleman to play for the Victorian state side at full-forward. 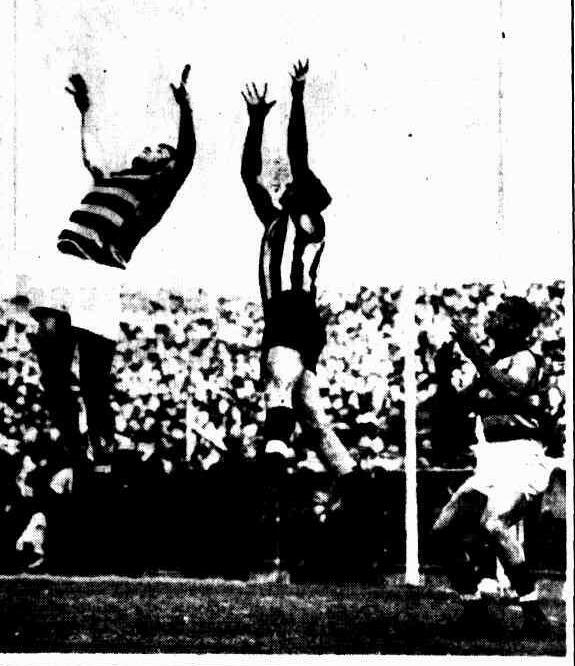 Kevin Dynon was North Melbourne’s captain in 1953 He was first appointed captain in 1947 when he was just 21 years old giving him the distinction of being the youngest player to fill that post since North’s entry to the league, but was replaced by Les Foote in 1948. He was reappointed in 1952 after Foote deprated Arden Street to captain coach Berrigan in New South Wales. Between 1943 and 1954 the versatile Dynon played 149 games and kicked 83 goals playing across the centre, on the half-forward line or even as a follower. 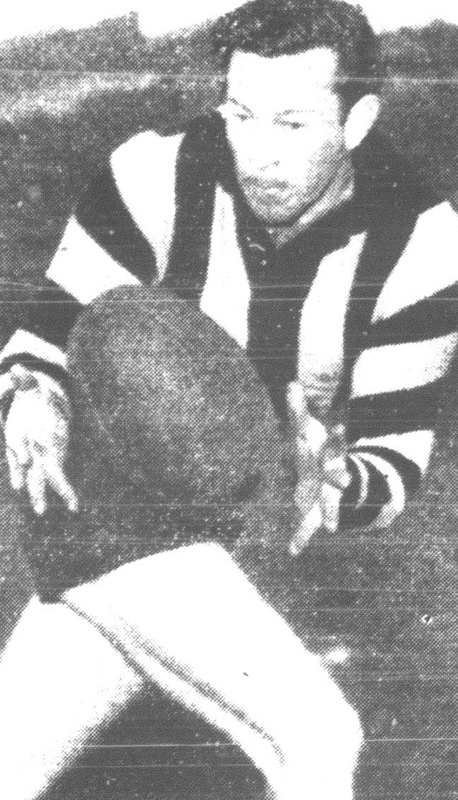 North’s leading goal-kicker in 1953 was Gerald Marchesi with 49, which was the fourth highest goal tally for the 1953 season. He was a strong and powerful half-forward flanker who was deceptively fast for his 14 stone frame. He was an accurate kick and a strong mark and considered one of the best half-forwards of his era. In 1954 he would captain the side which would go onto finish 4th. That would be his final season of VFL football.